What Are the Best Golf Shafts? Gone are the days of hickory sticks for shafts, replaced by composite materials. Today's golf clubs have changed dramatically from the old, wooden-headed drivers and hickory shafts that were common years ago. Seemingly lost in the world of large-headed titanium and metal drivers and fairway clubs that simplify the game, is the ever-evolving golf club shaft. While often overlooked, the right shaft on your golf clubs can take strokes off your game and allow you to play up to your potential. Aldila touts itself as not just another shaft manufacturer but a composite material think tank. 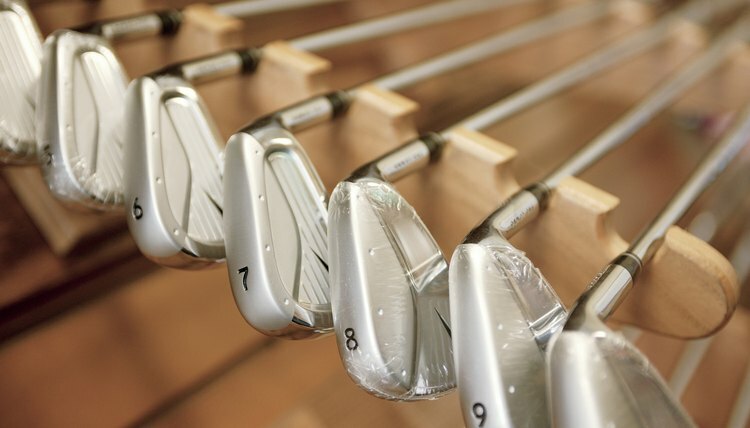 And, with composites such as graphite and titanium becoming bigger factors in shaft technology, the company is poised to continue its recent run of shaft success with these materials. Buoyed by the strength of its RIP and Voodoo series shafts, Aldila has received top-five rankings from several prominent golf specialty sources, including a best of 2010 ranking for its new En Fuego line of shafts from Golf Tips Magazine. While graphite has become a preferred shaft choice in the amateur golf world, in 2010 the professional ranks largely maintain their allegiance to the trademark True Temper steel shaft. It's been this way for 25 years or more, the reason being, that steel is a uniform substance and doesn't have variation like composite materials. Thus, you always know what to expect. Canada isn't thought of as a traditional hotbed for golf technology, but that perception may need to change. Accra, based in Kingston, Ontario, ranked highly in both Golf Tips Magazine and Golf Gear Select's 2010 shaft reviews. The company offers three distinct series of golf shafts, all part of its DyMatch innovation. DyMatch stands for Dynamically Matched, and every shaft from each series promises to give the golfer the same flex, torque and tip deflection, from drivers down to the hybrids or fairway woods.